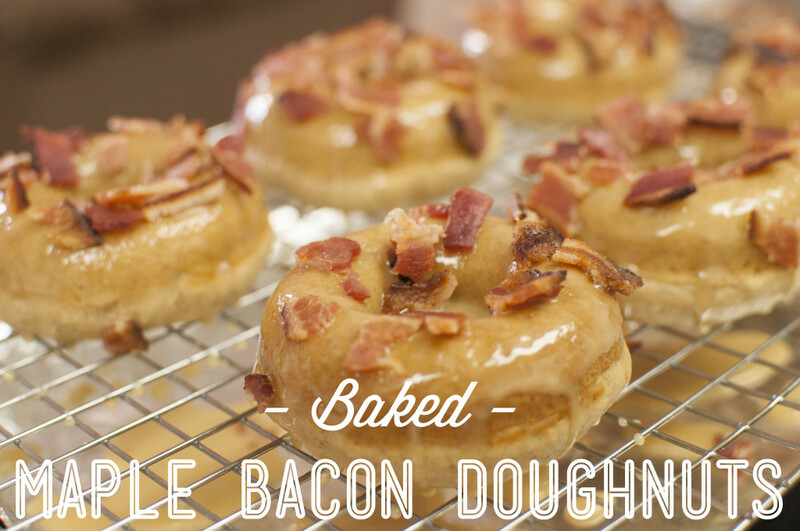 You are here: Home / bacon / Baked Maple Bacon Doughnuts. Have you ever tasted something that was kinda ridiculous? And by ridiculous, I mean rich, simultaneously savory and sweet, and just plain awesome all at once? If you haven’t experienced that kind of intense taste, then I feel bad for you, son. 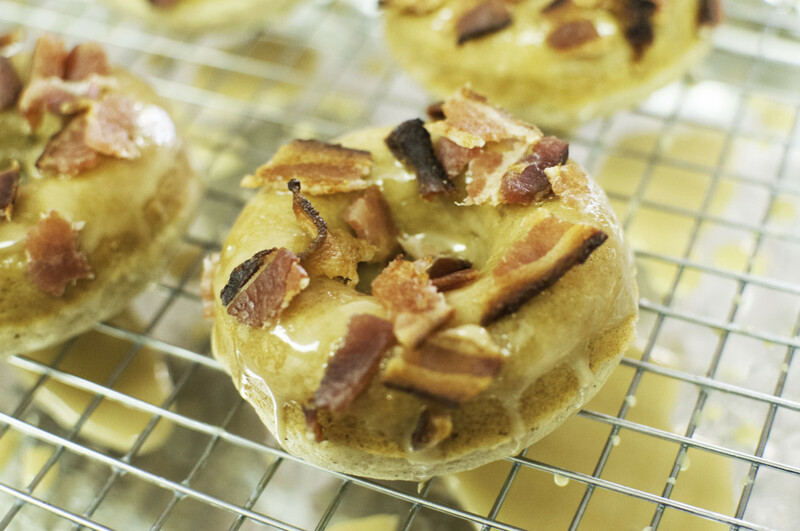 But there’s good news: you can make these baked maple bacon doughnuts, and then you too can experience that culinary ridiculousness/awesomeness. The moment I spotted these doughnuts on Tracy’s blog, I started drooling [except not really, because that imagery is kinda gross]. Of course, I immediately pinned the recipe. As usual, I forgot about it. Then a week or so ago, I finally got the courage to make the doughnuts. And as soon as I took them out of the oven, I knew they were gonna be amazing. Some people think that putting bacon on sweets is kinda weird. And perhaps it is, but it is actually quite tasty. It’s that savory and sweet combination. To me, it’s one of those things that you just have to try to believe in. 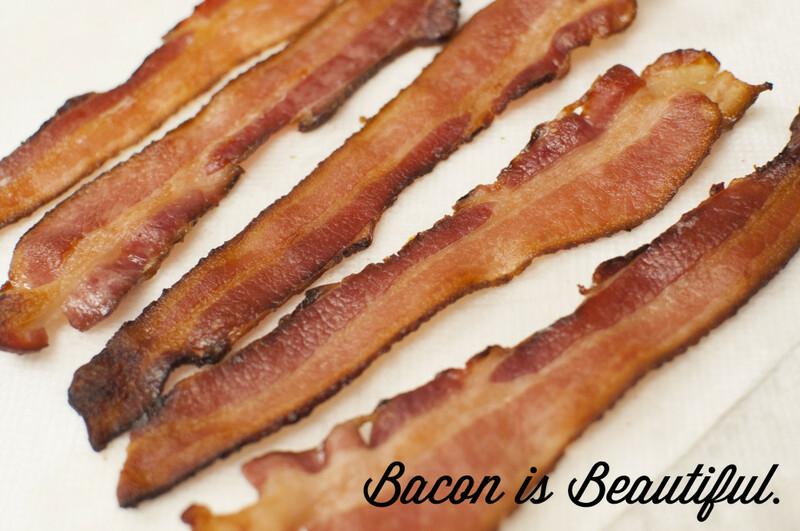 I believe in putting bacon on baked goods. There, I said it. 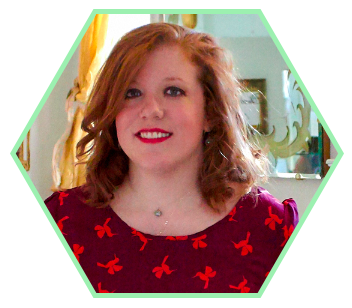 I mean, I used to be apprehensive, but now that I’ve seen the light… I’m okay with it. And these doughnuts, well, they’re basically browned butter cinnamon doughnuts, so they’re rich and sweet to begin with. Topping them with homemade maple glaze and bacon just takes them to the next level. 1. Preheat your oven to 350 degrees F, and grease your doughnut pan. Set pan aside. 2. Whisk together the dry ingredients in a medium bowl: flour, baking powder, baking soda, salt, cinnamon, and sugar. Set the dry mixture aside. 3. Over medium-low heat, melt the butter in a small saucepan. Continue cooking it until it starts to brown. It will begin to smell nutty; remove it from the heat and allow it to cool. Watch it closely; it can burn very easily. 4. Mix the wet ingredients in a small bowl: the egg, buttermilk, and vanilla extract. Add the browned butter once it’s cooled, and whisk the wet ingredients altogether. 5. Next, add the wet ingredients in with the dry ingredients. Stir together until well-combined; there should be no bits of flour remaining [but be careful to not overmix the batter]. 6. 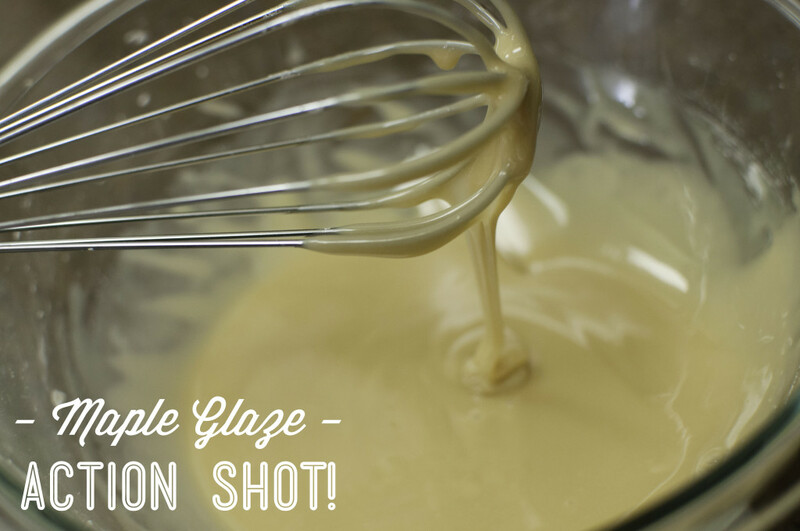 Transfer the batter to a piping bag or a plastic ziplock bag. Snip the tip of the bag with scissors and pipe the batter into each doughnut cavity. 7. Bake doughnuts for about 8-10 minutes; do not allow them to over-bake. Remove them from the oven, and let them cool briefly in the pan before removing to put on a wire rack to cool completely. 2. 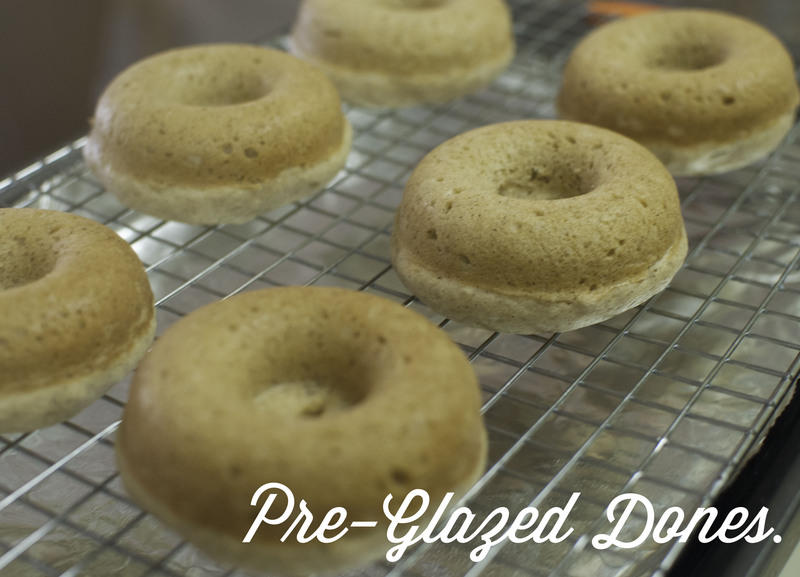 Next, dip doughnuts in glaze to coat, or spoon glaze over each doughnut. Sprinkle bacon crumbles on top of each doughnut while the glaze is still wet. Store doughnuts in an airtight container for up to two days [they’re best the day they’re made, though]. Enjoy! Recipe from Tracy of Shutterbean.